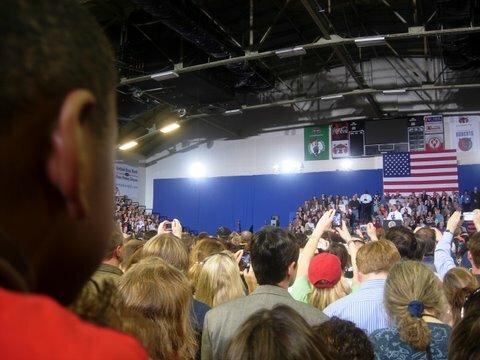 Sam watching President Obama speak to a rather cozy crowd of 2,000 this afternoon. It wouldn’t surprise me if these two presidential men cross pass at some other point in both of their promising careers. 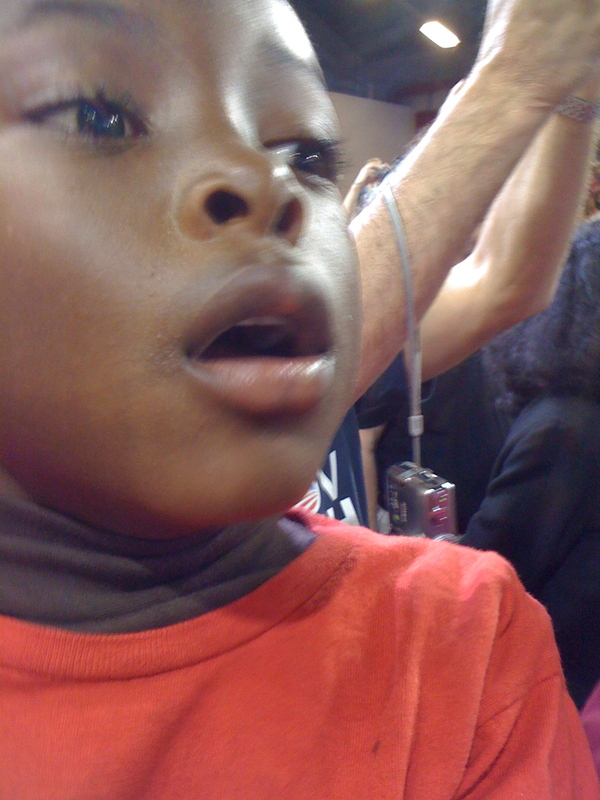 Watching Sam watch Obama was almost as groovy as seeing Obama less than 100 yards away. Huge thanks to Uncle and Sage for waiting in the cold and rain for three hours yesterday to get the tickets, and to the powers that be that allowed us to be one of the last group into the Exposition building before they determined there were more ticket holders than there were spaces to stand. I am so sorry for the disappointment of many who were turned away. 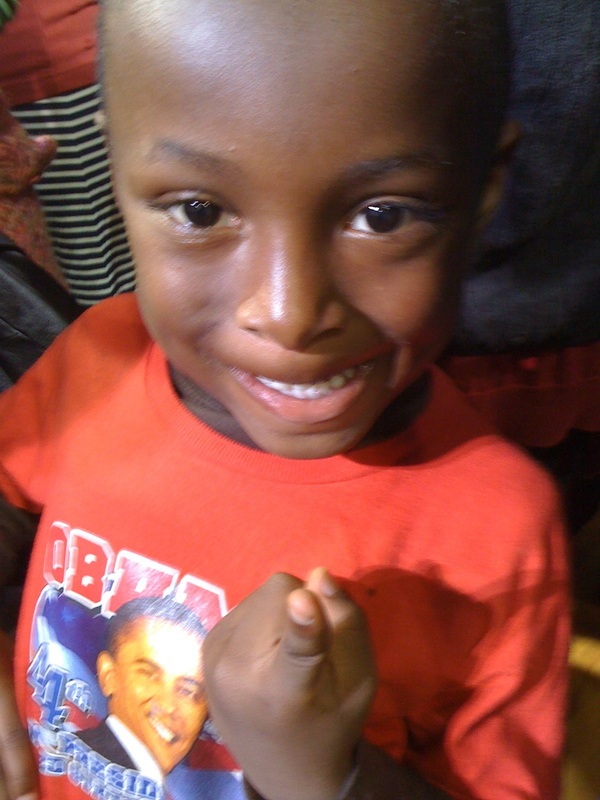 My little man did a beautiful job keeping himself together until the miraculous moment when his president appeared before him, in wide smiles, to uproarious applause. As memories go, I suspect the grand children will be listening to Sam talk about this one. I was also there. What a thrill. I almost couldn’t believe it. This is our president and to be in his presence was awesome. I can only imagine what it was like for Sam. He will never forget this moment. I kept thinking about all the children, black and white, that were there thinking it was wonderful to see the president and not necessarily being blown away that he is our first African American president. Maybe they will go through life expecting greatness in our president., whoever she may be. Enjoy the day and the afterglow. Is this Sammy? Captured by author/illustrator Cathryn Falwell? Amazing. I can imagine him telling his children.